POOL HOME ON THE GOLF COURSE OVERLOOKING A LAKE! Enjoy the beautiful Arizona sunrises with a clear view of the mountains and lake to the east. Enter in to the formal living & dining rooms through the double door entry. A very welcoming kitchen with a large pantry and island that are open to the family room with a fireplace. 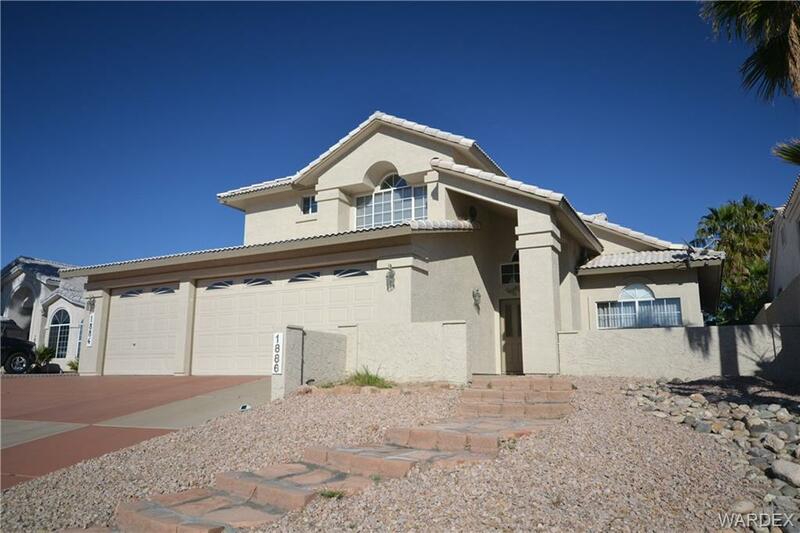 With 4 bedrooms, 3 baths in this lovely home. The Master Suite overlooks the lake and features 2 closets(1 walk in), separate jetted tub, step in shower & a fireplace. The utility room is upstairs for convenience. Extra storage closet under stairs. With a 3 car garage, RV Parking w/30amp hookups & dump. Relax by the pool on the warm days or sit by the fire in the cooler months! Most furniture stays. Don't miss this pool home...just in time for summer! Water Sewer: Sewer, Water-Rural Co.